Larry is a co-founder of SkyView Investment advisors and his career spanned a number of milestones within the financial industry. At Riverview Investment Advisors, Larry focused on manager research and helped grow assets under management in excess of $2 billion internationally. He also served as a risk manager for BPV Capital as AUM grew from under $200m to over $2 billion. Larry’s career at Soros Fund Management spanned over 16 years where he built the performance and risk analytics group. He also expanded the outside manager (i.e. satellite) network to over $4 billion. While at Soros assets under management grew from under $400 million to over $25 billion. While at Drexel Burnham, Larry was a member of the Los Angeles based High Yield & Convertible Bond Group headed by Michael Milken. 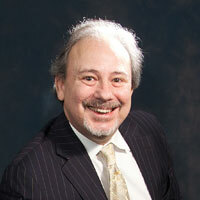 Larry frequently speaks and contributes to various venues within the alternative asset industry. He has met with hundreds of managers during his career. He is an active community member and devotes his time to expanding access to the arts.